Smiling in Second Grade: Christmas Sale Extended! What's better than 1 day of Christmas? 2 days of Christmas!! 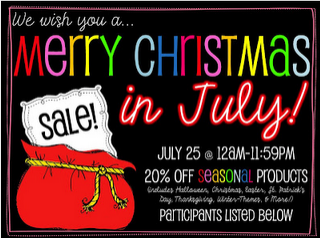 Since TpT was down for most of the day today, I'm extending my Christmas in July sale until tomorrow. All my seasonal items will be 20% off! Click the picture below to check out my sales. That's not good condition! I take such good care of my books because I treasure each and every one of them. I understand that there are a lot of people who highlight their books and while I think that's a great idea, I don't do it and don't want it in my own books. I'm just not happy with this. Ok, rant over. The content of the book? Awesome!! I started this afternoon and am almost done. It is definitely directed towards middle school teachers, but as I was reading, I came up with so many ways I can tweak it for my second graders! Once I'm finished, I'll be back with my notes (which are definitely not written in the book)! Wow that's annoying! That book would drive me nuts with the markings. I can't wait to hear your thoughts. I've heard a lot about it this summer. I think I need to go buy it! Amazon is really good about returns, even from the other sellers. You have every reason to return it: it took too long to arrive and the condition was not as described. Get a copy that you will want to keep! I had a children's book that had the words poop and poo on every single page. I was in shock. I'm so glad I flipped through it before putting it on the shelf. I had no idea they would sell stuff like that. They did refund and it was painless. I read The Book Whisperer this summer and thought it was great, too! 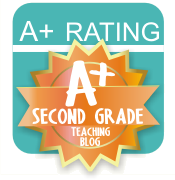 I am looking forward to reading your thoughts on using it with second graders. I shared it with another teacher on my 2nd grade team and we have been talking about it during early morning walks. I'm sorry that your copy was such a mess. I borrowed it from the library and liked it so much that I bought my own copy at the All-Write Summer Institute.